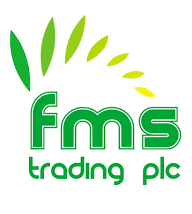 FMS Trading PLC is an import and export company in Ethiopia. Our company imports different food items and materials and exports Ethiopian origin oil seeds and pulses to European, USA and Asian markets. We import different types of high quality construction materials from different countries. We import different types of high quality industrial chemicals and raw materials from different countries. We import different types of high quality car tiers from different countries. We import different types of high quality rice, cooking oils, tomato paste and other food items from different countries. Our suppliers have own warehouses close to the cultivation area, so we can easily monitor and procure the material. Our Suppliers are procuring the material directly from the farmers only after inspected by our quality control personal. The procured materials are stored in an ideal condition with our supplier Warehouse facility. Visit www.2merkato.com to find out more about this company and other 5,000 business.